That Sum to us ? 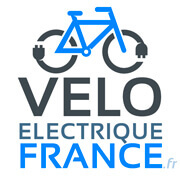 electric bike in France has been created to provide individuals and businesses cost effective solutions and easy sustainable mobility "all inclusive" with a particular choice of the qualities of electric bikes offered to our customers and after sales service. Our network of shop and repairer in the whole of France, we can guarantee the after-sales service near to your home in France.